Here is a pretty blue ornament I received for Christmas. While it is an ornament, it is not necessarily a Christmas Tree ornament. Not all ornaments are just for the tree. I have this hung in my office. 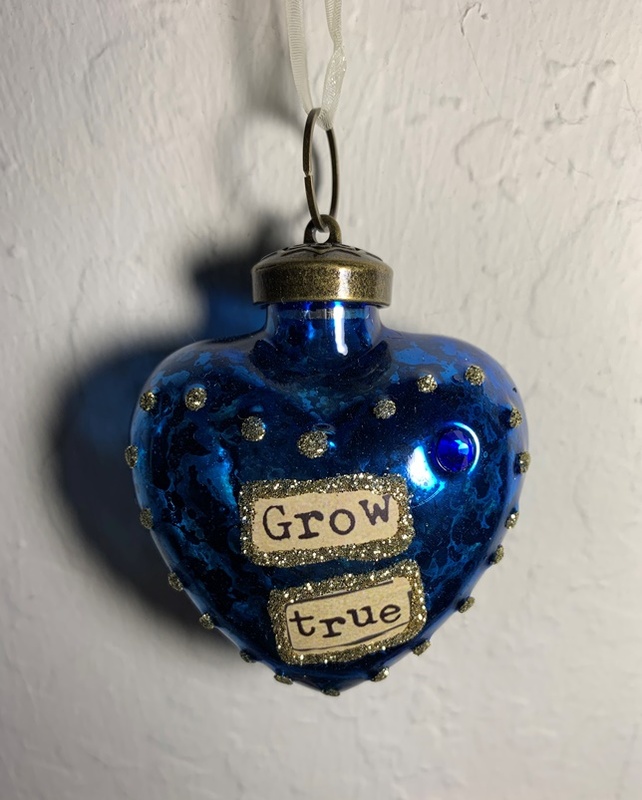 I am not really sure about the “grow true”, but it a heart, it is blue, it is sparkly, it is shiny, and it has an additional blue “gem” in it. I like it. It makes me smile. Sharing a picture of my blue ornament for my Friday Photo today.